Carl Streator is a solitary widower and a fortyish newspaper reporter who is assigned to do a series of articles on Sudden Infant Death Syndrome. In the course of this investigation he discovers an ominous thread: the presence at the death scenes of the anthology Poems and Rhymes Around the World, all opened to the page where there appears an African chant, or “culling song.” This song turns out to be lethal when spoken or even thought in anyone's direction – and once it lodges in Streator's brain he finds himself becoming an involuntary serial killer. So he teams up with a real estate broker, one Helen Hoover Boyle - who specializes in selling haunted houses and who lost a child to the culling song years before – for a cross-country odyssey to remove all copies of the book from libraries, lest this deadly verbal virus spread and wipe out human life. Accompanying them on this road trip are Helen's assistant, Mona Sabbat, an exquisitely earnest Wiccan, and her sardonic ecoterrorist boyfriend Oyster, who is running a scam involving fake liability claims and business blackmail. Welcome to the new nuclear family. I have yet to dislike a Chuck Palahniuk novel. His work ekes a brutal existential absurdity, a vicious rawness that puts you face to face with your most hidden self. Lullaby is a satisfying continuation of that tradition. It follows Carl Streator, a journalist, on his adventures with the manipulative realtor Helen Hoover Boyle. The fantastical plot revolves around a culling song, a lullaby meant to give painless death, that's become the unwitting lullaby of suburban parents--who wake to find their infants gone. Carl unwittingly uses the song, killing several poor souls before he realizes that the song must be stopped. As Helen and Carl investigate the song and seek to destroy all copies, they find themselves entangled in supernatural scheme that's darkly hysterical. 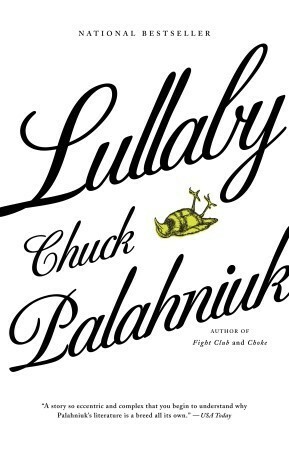 Told with Palahniuk's signature bite and his jaded philosophy, Lullaby is a twisty musing on loss, grief, and dangerous power. Pay attention. Lullaby is complex, plots within plots. It can be difficult to follow. You know the end well before the beginning and middle. It made the story a bit confusing. There's little else I can criticize on this front, however. If you're alright with an exaggerated, over-the-top narrative, there's a great deal to love here. The story is framed by the very end, the "present." We know the ending from the start, but it's significance is only made clear when it's too late. The rest is a delightfully bizarre road trip, Carl and Helen with the strange witch Mona and burnout Oyster. The strange troupe goes across the country selling haunted houses, investigating suddenly dead infants, and confiscating books with the culling song. Carl is stolidly trying not to wish dead every annoying person he confronts. And everyone is keeping secrets. The twists and turns keep you guessing, and the ending is a pleasant shock. Palahniuk's brilliance, in my mind, is his ability to mix the real and the supernatural into morality tales that are somehow also completely amoral. He builds on the very real legend of a culling song and puts it into modern suburbia. What happens when you give your average citizens ultimate power over death? Mayhem, of course. Palahniuk deepens what could be a simple supernatural road trip by infusing the plot with his characters' own stories and motivations. 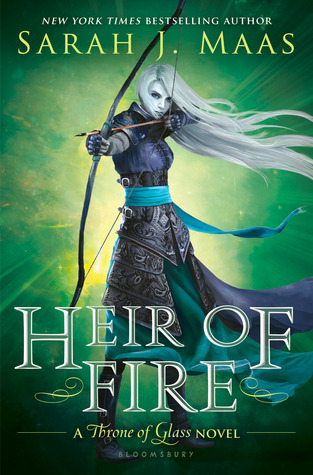 It's as much an exciting story as it is a meditation on loss and grief, on moving forward, on frustrated desire, on greed, on the destructive spread of humanity. While I didn't connect with these characters as intensely as some of Palahniuk's others, it's little detriment to this novel so much as preference. They're still quite good, and delightfully bizarre. Helen is an unscrupulous realtor who knows of the culling song and wants to stop it--or so it seems. Carl is a widow who lost his wife and daughter in the same year, and builds tiny houses because the intricacy distracts from his grief. Mona is a self-proclaimed witch searching for ultimate power. Oyster is a rabid environmentalist who places false lawsuit ads to make money, and who seems to have sinister purposes for the culling song and its ilk. They're all wonderfully screwed up and lovable. Think cynicism. Think vicious surreality. Think sardonic brutality. Think absolutely arid humor. That's Lullaby. Carl's voice reads somewhat as "and then, and then" in a languid way, a way that gives you a good sense of Carl as a sort of dogged person. On to the next thing. Dragging himself along. Then the "and then" is punctuated by something absolutely blinding. The poignant one-liners sneak up on you, and feel that much more powerful for it. I can imagine this book being told in Edward Norton's monotone. It's minimalist. Flat. A real person telling you a real story, with anticlimactic intensity. "People die," she says. "People tear down houses. But furniture, fine, beautiful furniture, it just goes on and on, surviving everything." She says, "Armoires are the cockroaches of our culture." And without breaking her stride, she drags the steel point of the key across the polished walnut face of a cabinet. If you ever wanted to learn about furniture, the manner in which humans have destroyed the planet, or spells, you've come to the right places. Palahniuk's obsessive details are his trademark. They serve to enrich the characters' personalities, to provide social commentary in a manner so heavyhanded that it feels subtle, and to give his prose an endearingly quirky quality. He's like reading a completely effed up encyclopedia, if those things had characters and stories and pretty language. Or like the musings of someone with severe OCD. Similarly, his repeated motifs offer an amusing comment on artificiality. Every few pages are punctuated with a strange advertisement for a lawsuit against this or that company, often juxtaposed against something much more serious. Again, that violent wit!